I have to admit I bought an Echo Dot because I hate birds. You see, we live across from a park, which is lovely except that around February all sorts of loud birds descend and ruin my life. So it's great to have a device that you can ask, "Alexa, play ocean waves," at 4:45 am and drown all that courtship out. The Echo Dot ($49.99) accesses Alexa, Amazon's "virtual personal assistant." She's like Siri but, to be honest, better. She recognizes pretty much everything you say, and I've discovered that goes for children as well. Siri remains decidedly like that aunt who doesn't like when children speak. 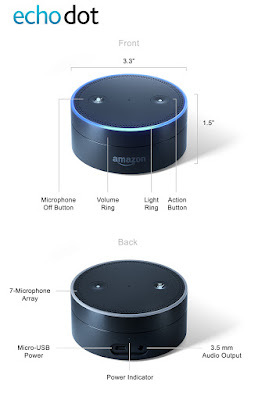 Using Echo Dot involves a simple setup through an app on your phone or iPad, mostly to get it connected to Wifi, and then you are good to go. In addition to accessing music and information by request to Alexa, you can "enable skills" that are more or less like apps, and for the time being, free. I have been popping my Dot into my bag occasionally to introduce it to my social groups, and it has been a big hit. 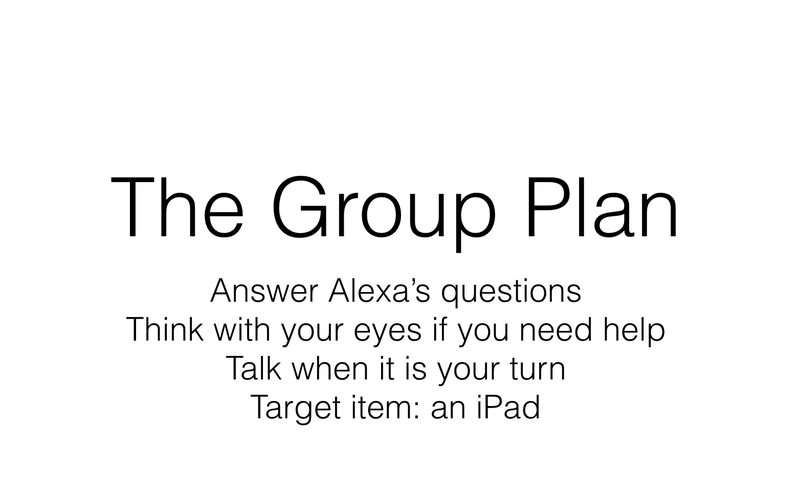 The kids have some experience with Alexa and find her way cool. 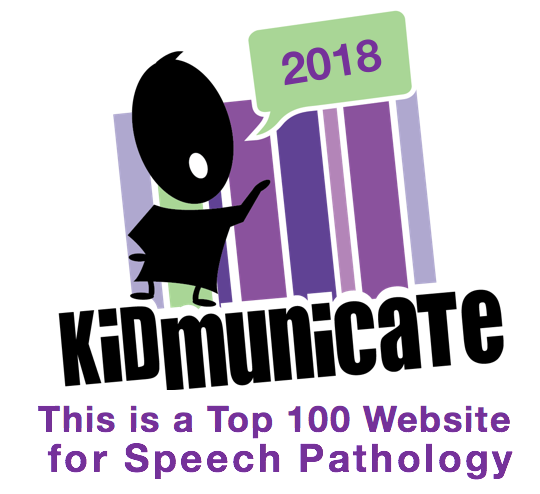 But from a FIVES point of view, Alexa is very Interactive and "Speechie," particularly when it comes to working on sharing talk time and using speaking and listening skills (as the Dot is just a speaker, search engine and connection to other programs and microphone to respond, essentially) . 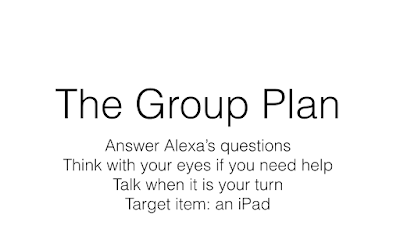 In this way, to the kids it seemed we were prepping for the activity with Alexa, but really we were targeting concepts that are important across the day. As usual, the technology can just provide a context to work on communication skills. I look forward to trying out and sharing other activities with Alexa.